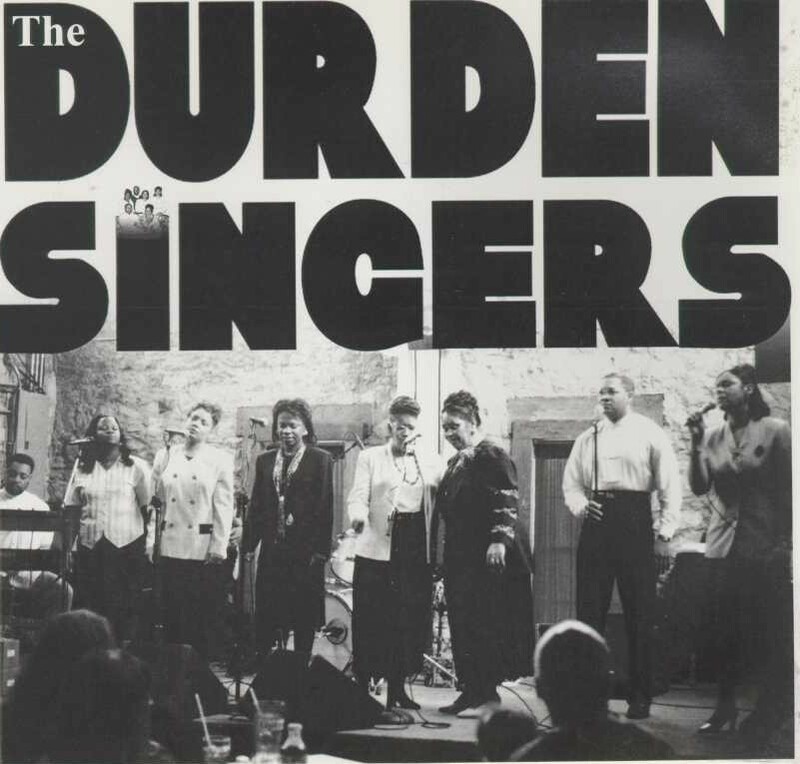 Dee singing with the Durden Singers of Austin, Texas at Downtown Stubb Restaurant's Gospel Brunch. Sharing the most universal message to the entire world: song. I must sing and rejoice with or without you, in sickness, in health, in poverty or wealth. Let me praise my God forevermore! From the mountains, to the oceans from man to man from door to door. I Give Him All Honor, All Glory, All of me! The deeper truths of God my soul bestows. Giant steps I made higher heights to Heaven. I learned to pray in a consecrated place. I learned of the Holy Ghost, His Purpose & Ways. I learned of warfare with secrets of the Word. I learned things of God I had never heard. I did so in haste -- I did it willfilly. Offering up prayers, strong crying and tears. Fallen into pits, pens, caves and the den. There came a bright dawning with the dew. My God endowed me with a fresh anointing. Satan had silenced and hindered my way. Keeping me bound , riddled with lack. I can walk in victory each and every today! Could it be that life is supposed to be sweet? Peradventure daily for the humble and meek? You mean all saints aren't poor and weak? And there's no excuse for a life of defeat? I can walk in victory each and every day. I will publish this news to saints everywhere. Who protects in the wilderness from all wild. I shall walk and not faint and avoid angry wrath. I shall walk steps of faith and His Spirit shall reign. In the newness of life will I walk to my talk. Then at the Last Day we shall both walk in white. Click to hear song I had to sing when I was very young. I was called stubborn, mean, the devil, and other names while growing up as a child. But all I really remember being, was hurt. No, not over the name calling. It goes so much deeper than that. My heart ached all the time. I did not know about depression then, but since I've become older, I understand now that I was very depressed as a child and I lived in fear every day. The fear of not having, the fear of Hell, the fear of my teachers, and the fear of the KKK. The men in white sheets would march down our streets often. Do we ever think about the effects that hatred has had on the children? I used to stress out as a small child wondering why was I born to live in such a mean, cold world so full of hatred, dismay, poverty, pain, and unhappiness. I did not love myself. No self-esteem. Troubled. Hurt. Beaten. Yet Silent. Perhaps that is why I am the type of individual who does not want any living soul on earth to be in pain, poverty, abuse, or any distress. Christ could not tolerate it either. He healed and delivered everyone He could because of His great compassion for people. There are so many hurting people and children today suffering from things of yesterday. All people should be able to live life happy, fulfilled and joyful lives. We are all entitled to life, love, joy, peace and happiness. It is because we are God's masterpiece - because we are a piece of the Master. We are in Him and He is in Us, therefore, we should attract Blessings, Wealth, Happiness and Health. That is, again, of course, if He is in Us. I am glad that God is inside me. I am overwhelmed with thanks that He has forgiven me for all of my mistakes and trangressions. What a merciful God. Sweet Lord, of all our childhood hurts, pains, and mistreatments, I pray that You heal, deliver, and cover us with Your Sweet Holy Spirit. Thank you, O merciful Father, for calling us to put the blood on the doorposts to save our children. How I love Thee with all mine heart, soul, and mind. Amen. I am the 5th child of ten children born to Supt. (Rev.) Noble L. Cooper, Sr. and Missionary Dorphine Cooper. At the age of 12, I sought God for salvation, but was discouraged. Later in life, at the age of 17, I received the gift and the Holy Spirit at a small church they called Centerhill Church of God in Christ. After receiving Christ into my life, I became a new person. The happiness and freedom within me shined without in the songs I created: "All I Want is Jesus", "Jesus is the Best Thing", "Come Unto Me", etc. I continued to write songs and poems as I traveled near and far with my parents singing and playing music for the many revivals and church events. My classmates noticed the difference in my life. My testimony persuaded several of them to give their lives to Christ. A 100-Voice choir was accredited to my testimony in this small Texas town. Many of classmates and friends are yet holding on today and that encourages me greatly. After my High school graduation, I immediately moved to the Sam Houston State University's campus to pursue a Bachelors of Business Administration. I remained in college and I stayed saved, though yet very naive. But how I loved Jesus Christ and I talked with Him all the time. 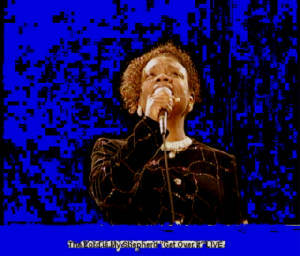 I was given the title Evangelist due to the revival crusade I conducted in the East Texas areas. I believe in informing the Body of Christ of what's going on in the hidden things of God and satan so that God's people would know how to fight. To insure awareness, I hosted workshops, conferences, banquets, all-night prayers -- all new to the churches at that time. To warn everyone, I toured different churches to share the End-Time Prophecy movies. God then blessed me to graduate from college. I moved to Houston, Texas with high hopes and dreams of prophecies coming true right away but instead I found that I had to wait many years, and wait, and wait, for God was molding me for His purpose. I remain on the wheel of destiny willingly. God's timing is not always our timing. God's timing is hardly ever our timing. I have taken many detours on my road to my Destiny -- I have been forced into many traps, I have blindly fallen into pits, and I have suffered greatly. I know, though, that Righteousness and Holiness is always right and it's worth all the heartaches, every pain, every problem, and every pit. God is my destiny. Back to the Creator is where we belong. Back to Paradise. Eternity. In the world of work, I continued to have jobs where I was overqualified; yet, I was not allowed to advance no matter how dedicated I was. And while working and looking for work, I had an affliction which baffled the doctors. Years later, the disease was identified as fibromyalgia, lupus, and cervical degenerative disc disease. The pain and suffering became unbearable and almost impossible to control. After being in the workforce for over 30 years, I was forced to disability. I have to rely on Jesus Christ for I know He understands, but unfortunately few others do. God is now blessing me to work for Him 100%. When everyone else rejected me, God was there and He's still there. "Lo, I'll be with you always until the end of the world." A gift from Father is better than GREAT! HEAL THE CHILD IN ME! I ride high Heaven's Zion! I stand a warrior for true Destiny. But strong in grace and victory. Rise up, elevate to highest height. This is the day, the time to choose. Let my Divine Destiny now unfold.